First, right click on your Desktop and select Personalize. Alternatively, you can go to Control Panel -> Hardware and Sound -> Sound. When the Sound window opens, go to the Sounds tab. To disable the current sound-scheme completely, click on the 'Sound Scheme' drop-down menu and select 'No sounds'. 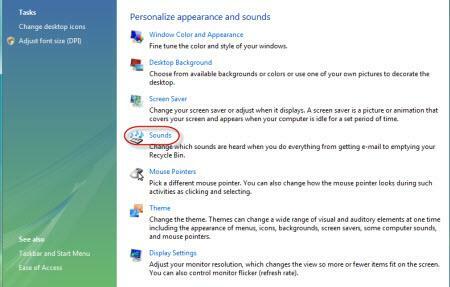 Now click on OK and Windows Vista will not bother you with any other sounds. 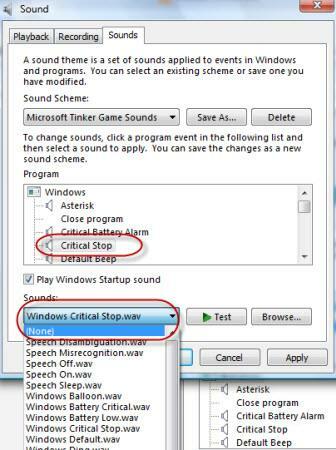 If you find annoying only some specific things like the 'critical stop' or the 'log off' sound, you can very easily disable them or change them with other sounds. 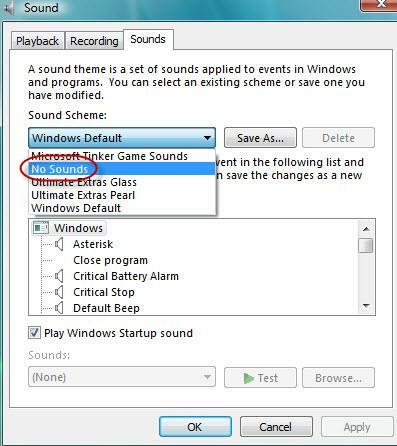 When you are in the Sounds tab of the Sound window, select from the Program list the sound that you want to disable or change . Once selected, go to the Sounds drop-down menu. 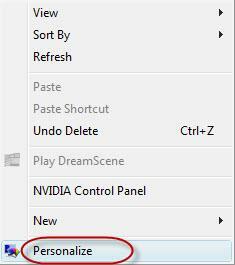 To disable the sound, select '(None)'. If you want to replace it with another sound, click on Browse and select another '.wav' file from your hard disk which contains the sound you want to play from now on. Does this work with all .wav files? I've tried that same procedure, but when I click "Test" I don't hear anything.